From the rugged and towering snow-capped peaks of Patagonia to the lush rainforests of Colombia, South America lays claim to some of the best treks on the entire planet. Whether you’re a multi-day adventurist looking to get lost in the backcountry or just out for some inspiring day hikes, the continent has something for everyone. Here’s a run-down of South America’s best treks with some tips and tricks thrown in for good measure. 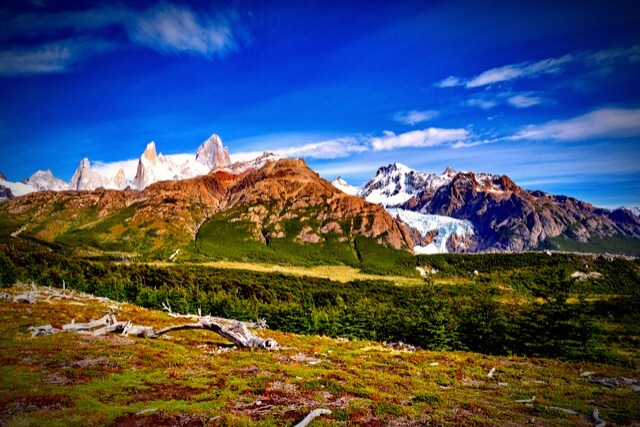 Starting in the south, El Chaltén is a small colorful frontier town known as the trekking capital of Argentina. Only recently founded in 1985, it’s still an unassuming hippie village known more for what it’s close to rather than the town itself. During the warmer months from October to April each year, avid adventurists flock to El Chaltén to appreciate its jagged Patagonian landscapes. Hiking to the base of Cerro Fitz Roy is perhaps the most popular and most suitable for beginners. Another gem is the quick hike to Cerro and Laguna Torre, a walk that flanks Fitz Roy and leads you through windblown forests alongside turquoise waters. For experienced trekkers, the Huemul Circuit is a multi-day journey that will tick all the boxes of a classic Patagonian trek. As far as accommodations go, La Comarca is the most popular hostel catering to backpackers, but each year there are new additions in the form of eco-lodges, glamp sites, funky hostels and comfortable hotels. In 1972 a group of local treasure hunters stumbled across a series of steps tucked away inconspicuously in the Colombian jungle. After discovering ceramic urns and ancient golden artifacts, archeologists in the coming years unearthed the political, social, and manufacturing center of the Tayrona people that thrived in 800 CE, some 650 years before Machu Picchu. 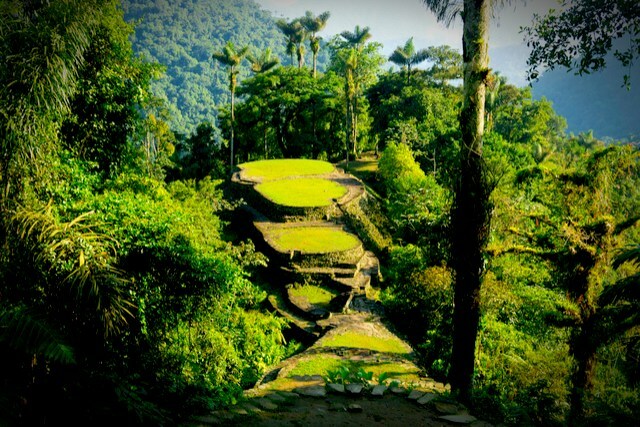 With hundreds of steps terraced into the mountainside, a network of tiled roads, and central plazas all having been slowly engulfed by the surrounding jungle, the Lost City is truly surreal. Perhaps the best part of the Lost City Trek is the four days, 28 miles, and 1,200 steps required to reach it. You truly feel out there, incredibly deep in the Colombian rainforest. Starting off from Santa Marta on the Caribbean coast, sign up with one of the five authorized tour companies and accompany your guide (usually a local from one of the indigenous tribes with loads of geographical and historical knowledge) through one of the lushest and most biodiverse landscapes in South America. In recent decades the ancient Incan capital in Peru has become one of the most famous and visited archeological ruins in the world. Stacked precariously on steep hillsides, the site includes an urban center, worship areas, an emperor’s estate, and an agricultural sector that supported around 1,000 inhabitants. 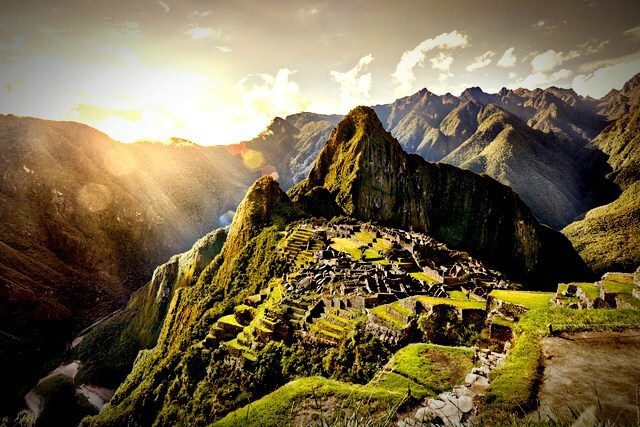 When planning your trip and trek to Machu Picchu, you have a number of different options. 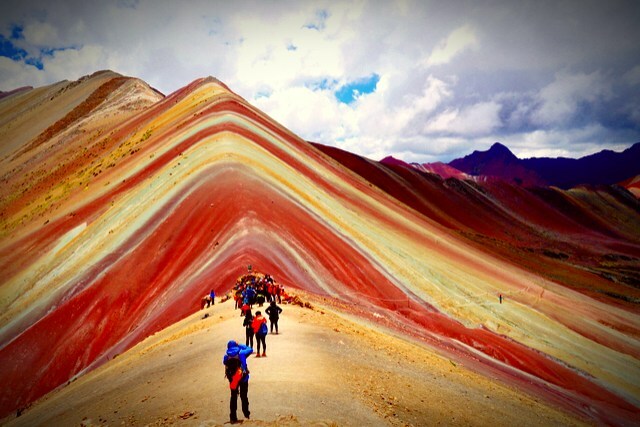 First, the Inca Trail — by far the most popular option — is a four day, 26-mile trek that combines beautiful mountain scenery, subtropical jungle, and ancient Incan ruins. Because the permit system is highly selective, many people opt for alternate routes. Some of these include the Salkantay Trek (one of Nat Geo’s top 25 treks), the Lares Trek (less strenuous and more interaction with local Andean communities), the Choquequirao Trek (the longest and toughest option, but also the most rewarding), the Inca Jungle Trek (for adrenaline junkies; includes zip lining and river rafting), and the Vilcabamba Trek (by far the most off-the-beaten-path; solitude is guaranteed). For the more DIY types, Ecuador’s Quilotoa Loop is a fantastic self-guided trek for budget travelers who are interested in finding the road less traveled. 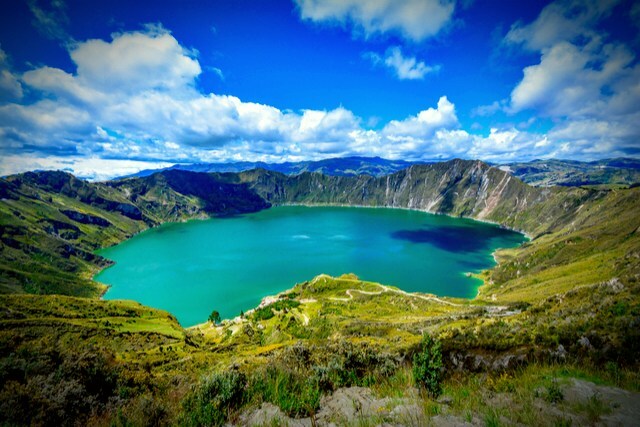 Often forgotten or sacrificed by those favoring the Galapagos or the Ecuadorian Amazon, the Quilotoa loop is a three to five-day hike that rises and falls among Andean hillsides, rivers, valleys, volcanoes, and small Quechua communities, ending climatically at a stunning crater lake. You can stay at cozy hostels along the way usually providing breakfasts, dinners, and sack lunches for the next day’s journey. The starting point in Latacunga is just 1.5 hours south of Quito, so squeezing this trek into your itinerary could be well within reason. Some of the warmest and most welcoming accommodations along the route include Hotel Central in Latacunga, the Llullu Llama hostel in Insinliví, and the Cloud Forest Hostel in Chugchilán. If you’re looking to bypass the crowds of Machu Picchu, Peru’s Cordillera Blanca is one of the best well-kept secrets in Latin America. The second-highest mountain range in the world is home to icy peaks, over 700 glaciers and over 300 lakes. With colorful wildflowers, ancient ruins and warm communities dotting the surrounding landscapes, the Cordillera Blanca has something for everyone. 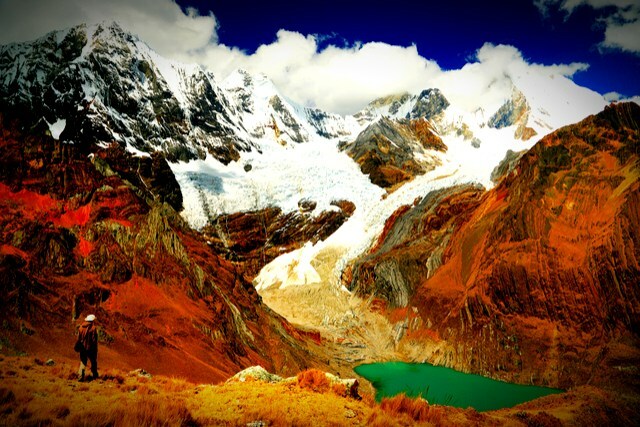 Huaraz is the small village that will be your base camp for exploring the surrounding region. 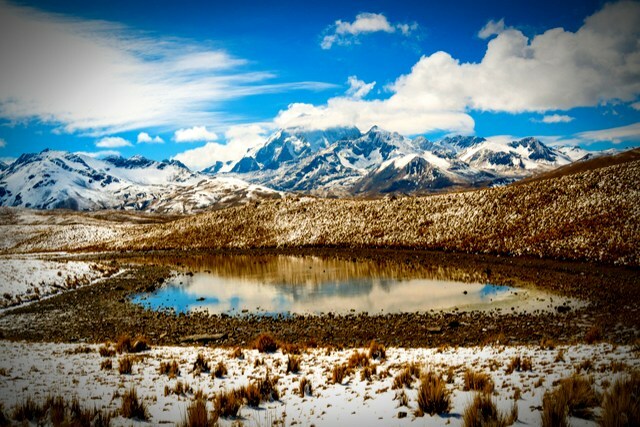 Trekking options include the multi-day Santa Cruz trek, the day hike to Laguna 69, and the massively rewarding 10-day journey along the Huayhuash Circuit. 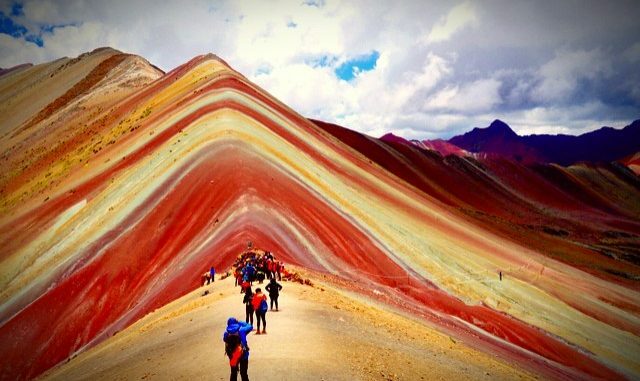 We couldn’t possibly list all the incredible trekking routes through the continent of South America — but to make sure each place is justly represented, here are the treks worthy of special mention. As far as mountaineering goes in South America, this Bolivian behemoth, just a stone’s throw from La Paz, is a fairly straightforward ascent up a 3,000-foot glacier. The three-day, beginner-level journey up Huayna Potosí rewards adventurers with jaw-dropping views of the Cordillera Real mountain range. 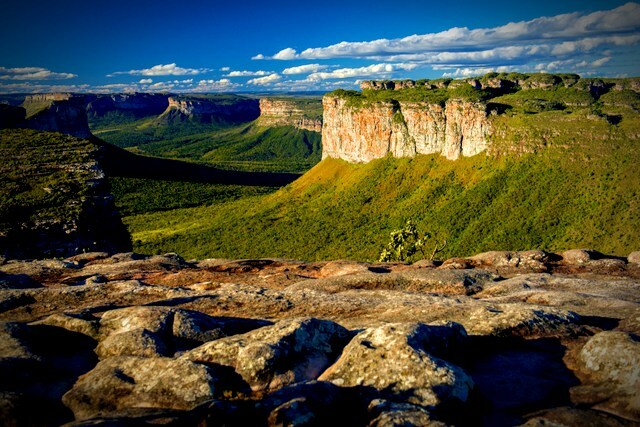 One of the best trekking gems in Brazil is Chapada Diamantina. From above, it looks like a lush, tropical version of Canyonlands with mesas a sheer plateaus. Underneath, there’s a network of enchanting caves and hidden waterfalls. Be sure to link up with a guide so you don’t get lost. 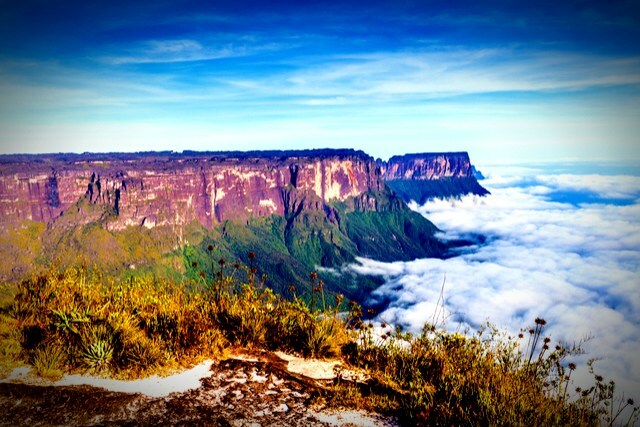 At the triple border of Venezuela, Guyana, and Brazil, Mount Roraima juts up into the sky and above the clouds. Covering 12 square miles and bounded on all sides by sheer 1,300-foot cliffs, this is one of the most interesting geographical features on Earth. A six-day excursion will cost you about $200 and includes everything from tents to food and gear.